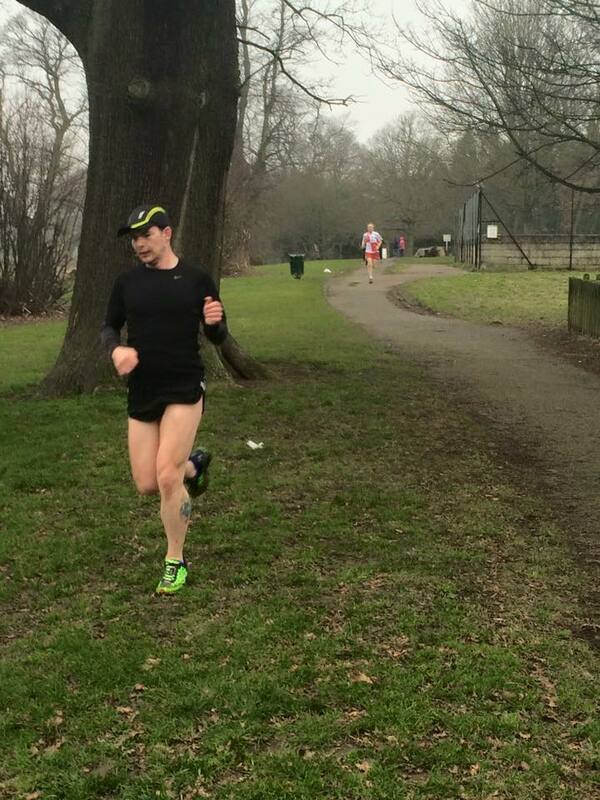 Today marked my first ever parkrun and, consequently, the first time I’ve ever raced 5km! I had absolutely zero expectations going in and I was just using it as a bit of speedwork for my ultra training. So, to finish second was a big surprise!! For those that don’t know parkruns are friendly, local races held all over the UK on Saturday mornings – they are free to enter and are timed. They wouldn’t happen without a whole bunch of volunteers giving up a Saturday morning lie-in so thanks to all of them, all over the country and thanks to the guys who put on this morning’s race! The location of the race is very local for me. I could have taken the direct 2km route but I decided I’d do what amounts to three back to back runs with short rests in between them and this worked out great! The warm-up run was over road and trail and helped me to get a feel for my New Balance Leadville MT1210 as it’s the first time I’ve taken them out for a run – they are great and I’ll review them properly once I’ve put a few more miles on them but today I ran 10 miles straight out of the box with no hot spots, blisters or discomfort! The race itself was, in all honesty, pretty hard going! 22:34 is very slow for me for 5km. The course is three laps and largely cross country with about a 400m section of pavement as you approach the lap check point. The back of the course is a gradual uphill and I found it very taxing to keep up the pace in the mud and the rain here but then the opposite side (the front side I suppose) is net downhill and on each lap I just let the hill do the work. I could have pushed a bit harder here and made it more difficult for the eventual winner but to be honest I have no idea how to pace or race a 5km so I pretty much took it steady, settled into second place and kept my ears open for runners approaching from behind! I took second place at the crest of the hill on the first lap on the back side of the course – I kept in touch with the guy in first until we got around to the hill on the second lap and from there he began to show some real strength and pulled away. A fine bit of racing from him, no doubt! I had no idea if I was being chased down towards the end of the last lap but as soon as my feet hit the paved section I lifted my head, straightened my back and lengthened my stride as best I could – in my mind I was playing over what it would be like to be caught at this stage and I did not like it one bit. The guy who finished third wasn’t too far behind, finishing maybe 30 seconds after me so I’m glad I picked it up when I did!! I met a neighbour at the end who had run down to the race after me, taking the direct 2km route so we decided to run back that way together. We had a chat up to our respective front doors and then I headed off for two loops of the muddy field that sits at the top of my street and then back around the block to make my warm down run 6km thus rounding me out to a 10 mile morning! So, to conclude, parkrun is fun! It’s a great way to get in some speedwork for ultras and a great way to clock up some early in the day mileage on a Saturday. I’ll definitely return and it’s likely I’ll make it a staple of my training. When this particular course dries out in the summer I have a feeling it will be pretty fast and I’m looking forward to that! This entry was posted in Post on Feb 28, 2015 by Al Flowers.